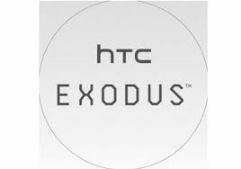 The Exodus is HTC's first foray into blockchain for smartphones. The device is rumored to appeal to crypto enthusiasts and gamers, and may rival the similar Finney phone in many respects. New reports indicate that it will be released on October 22. The HTC Exodus is the Taiwanese company's initial foray into the frontier of blockchain technology. It was first reported to be released as a consumer product in May 2018. Now, however, we have a release date for this unusual new phone: October 22, 2018. HTC has alluded heavily to this as a release date in a new official Instagram post. So far, it is not clear what this new phone or its internals will look like. There is some detail on how it will operate, however: HTC claims that the Exodus will act to support decentralized apps on a chain in which every phone of the series is a node. This will be done while supporting chain-neutral protocols with a 'trusted' UI. Needless to say, the Exodus may also support secure cryptocurrency storage, transactions and accounting. The Exodus is also rumored to be gaming-centric. It has partnered with CryptoKitties, which appears to provide a sort of Tamagotchi-on-a-blockchain. The phone is also thought to retail for something in the region of $1000. Time will tell if this investment of HTC's in the blockchain arena will pay off.